Out-of-character (OOC) conduct is a series of interactions between players, as distinguished from their characters. 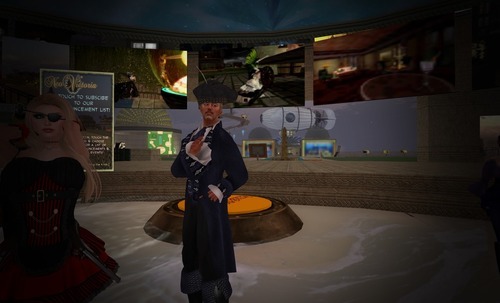 We do an assortment of OOC events in NeoVictoria, including classes, meetings and parties. The votes were counted and it was time to toast the winners of the photo contest. 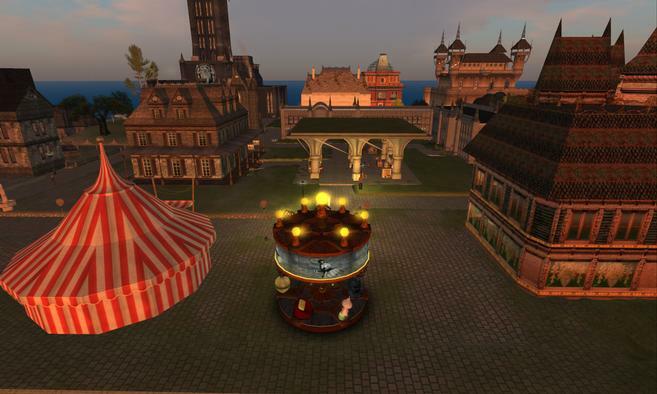 Miss Gabrielle Riel spun fabulous tunes and broadcast the event on the Radio Riel Steampunk channel! If you missed the event, you can still hear the awesome mix, as she’s posted it to her Mixcloud account, here’s the link. Asil showered the photo contest winners who were there with Lindens and love. Maplekey, Kei Kojishi and Veronika Obviate won the “Best in Steampunk Contest”. Plus, all who attended received a souvenir 2017 calendar featuring the winning photos! Top shot of the the NeoVictoria 2016 Photo Contest Award Party ! Dawn Aldrin shows some slick moves. Akasha, Asil and Lucinda admire MadMecha’s “Welcome to NV” photo. Best in Steampunk Contest Winners! First Place: “It’s a Murderous, Murderous Ball Night” by Abigale Heron. 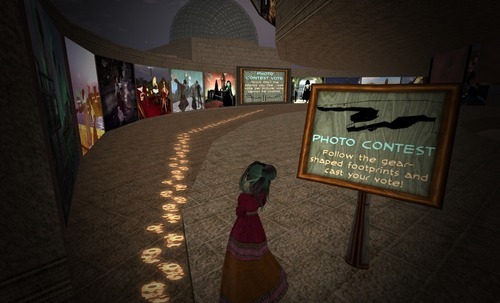 In-World Voting Begins for the 2016 Photo Contest! 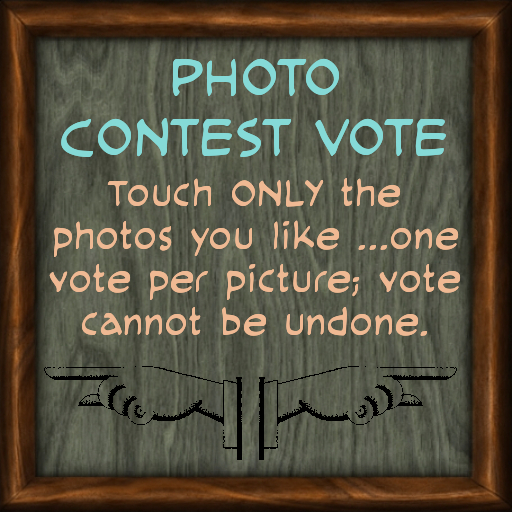 The NeoVictoria 2016 Photo Contest Wants Your Vote! 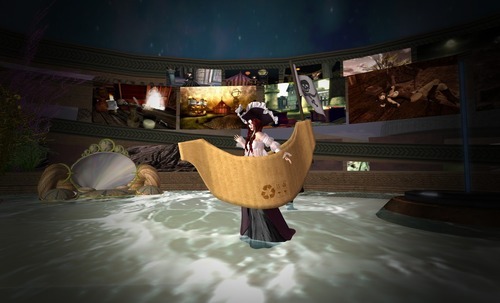 Eleven images are now staged in-world and ready to receive your vote. One vote per avatar; vote only for the photos you love! Radio Riel and the NeoVictoria Project present a 2016 Halloween Event! This live radio event, broadcast on Radio Riel’s Main channel, will celebrate all things spooky and scary. Gabrielle Riel and Prudence Jekyll will Disc Jockey. There will be prizes for best in male and female costumes! Halloween is Monday, 31 October 2016 and will be celebrated all around the world with costume parties, bonfires, divination, haunted attractions and trick-or-treating! We’re having a costume party in the NeoVictoria Skyclub and it’s a steampunk theme. 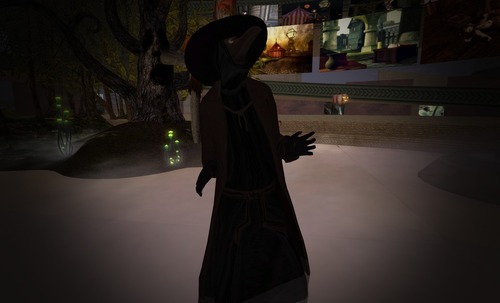 Dress your avatar in scary Steampunk, Victorian, Mecha or Goth styles and join us in Machinima SIM. 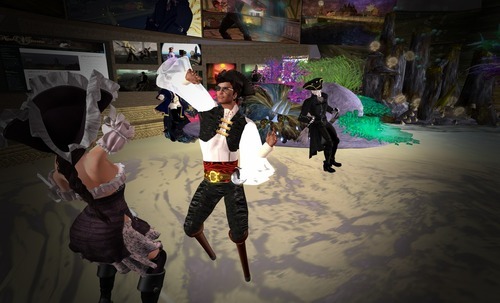 The party is not a roleplay event and is open to all adult Second Life residents, however, child avatars are not permitted. Radio Riel will broadcast the event over their Main channel with Gabrielle Riel and Prudence Jekyll as our Disc Jockeys. 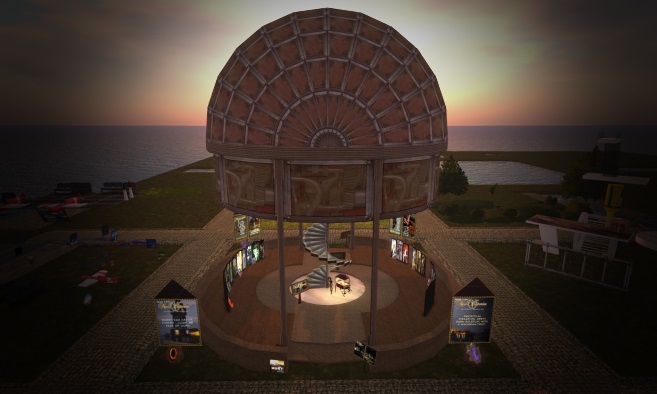 We’re in the Second Life Destination Guide for SLB13! Our Gift for this Year’s Big Hunt! This year, Tarquin Evermore made some really nifty decorative gears …just perfect for your steampunk lifestyles! They have resizer scripts and the center is scripted so the texture moves and flashes. [It’s very dramatic.] We have then staged at the corners of our build in SLB13 Electrify. Happy hunting! Our gifts for the Big Hunt! To learn more about this year’s hunt, visit the official SLB 13 website; here’s the link. And, if you see Rosamoo Mendelsohn in-world, give them a hug and shout-out, ’cause producing a hunt this big is a tremendous labor of love. Thanks, Rosamoo! When you see this texture in-world, it means that parcel is participating in the hunt.